← I Posted This Using 40 Meters! Novice Station KAØCEM, circa 1978. Today my son, Antonio, was granted my old Novice call sign from 1978: KAØCEM. He has wanted this call sign ever since he began studying for his Technician license. What a moving thing this is to behold my son showing such honor to his father, if even in such a trivial matter as an amateur radio call sign. It gives me pause to contemplate my relationship with Antonio and the man he has become. Back in 1996, when he was born, I could not foresee the year 2012. I’ll never forget that day when we came home from church to hear a message from Antonio Maset, the director of our adoption agency. Our hearts leaped to hear him say that a baby boy had been born the night before in Guatemala City. Mr. Maset said he would call back later that evening. We spent the afternoon with another adoptive family with a boy from Guatemala, and my wife and I looked at each other in awe when the mother told us we should have a name picked out when Mr. Maset called us back. Watching her boy and imagining a son of our own like him, our minds whirled as we tried to grasp the magnitude of what was happening. When we went home and waited for the phone to ring, the minutes crawled by like hours. Finally, the phone rang and my wife and I each picked up. Antonio Maset was on the line with Helen de Rosal, the lady who ran the home where this little baby would spend his early days. We eagerly told them that we did indeed want to adopt this little baby, and we told them we wanted to name him after Mr. Maset. Thus was my son named Antonio before he left the hospital that day. Five months later, after our lawyer in Guatemala City finalized the adoption with the courts, I flew to Guatemala to bring Tonito (as we called him then) to the American Embassy for a visa. And a day later, I delivered him into my wife’s loving arms at the Minneapolis-St. Paul airport as my daughter and a host of smiling friends and relatives looked on. Antonio’s last lab in book one of the Electronic Learning Lab: a frequency meter using 555 & 4046 chips. Now Antonio is sixteen, and he has chosen my old Novice call sign as his own. As heartwarming as it is, this symbolic gesture reminds me of far more important things about my son. Most importantly he has given himself to Jesus Christ; as a Christian he is as much my brother in the church as he is my son. He has grown up to be a respectful, hard-working young man who disdains teen culture and loves ham radio because he gets to talk with adults who treat him as an adult. He adores his sister, respects his mother, and honors me not only as his father but as his homeschool-teacher. He keeps up with his chores, and he willingly tilled and planted the garden this year. He loves playing classical guitar, riding and training horses, and reloading various kinds of ammunition. And now, he’s a ham radio operator — with my old Novice call sign. He wants to master CW, but until then he is active on 2 meter FM and 10 meter SSB. 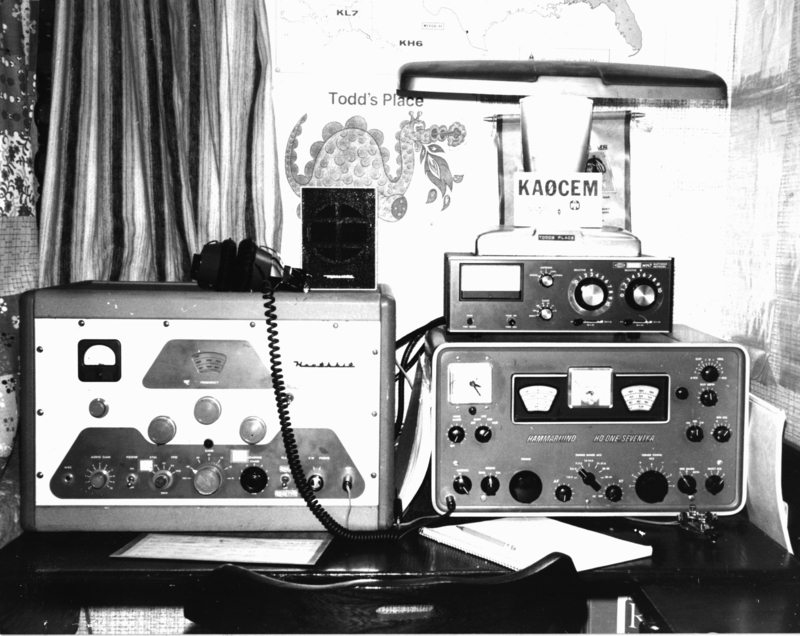 He has registered as an ARES operator, and last night he even passed his first radiogram on the Yellow Medicine County ARES Training Net (a radiogram that I need to pass along on the MN Section Net today!). Not bad for being a ham for only one month! I pray that God will guide Antonio as he continues to grow in wisdom and stature. Son, may you always keep amateur radio and your other pursuits in their proper place, and strive above all else to bring glory to God as you seek to know him and love him — not only to live well, but to die well. I certainly agree. Please say hi to Antonio for me. This is a story that ought to make the papers. I hope to work you both some day. My first cw contact was a Baptist minister in North Fl as a novice 1977. Great story Todd. We have much in common including our ham license and adopted sons. We adopted our son as a 7 year old from Russia. 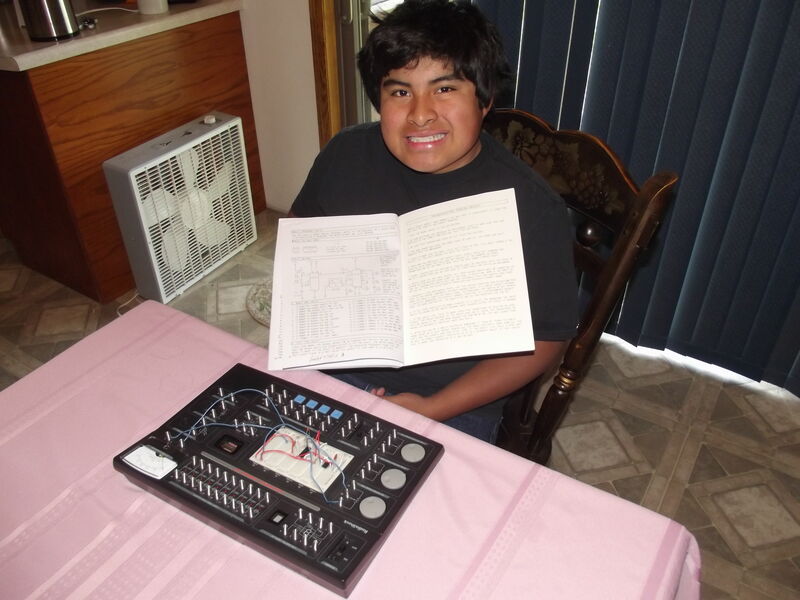 He is 10 years old now and showing some interest in ham radio. He also chose Jesus Christ as his Lord and Savior two years ago. Happy daddy here.